It’s the latest craze in food packaging. (SPOT.ph) Somewhere along the way, we must’ve lost our hipster DIY street cred, because when we were asked to round up the 10 best foodstuff served in a jar, our first question to our editor was, "Food, as in real food, and not Gerber?" We were stunned to see that food served inside a jar is a legit trend everywhere (the Pinterest boards are proof), and we’re not just talking about spreads, sauces, preserves, and baby nosh. 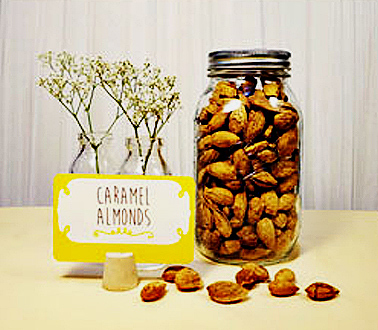 These "jarred" delicacies are popular for parties-they make great desserts and party favors. In fact, jars are so in demand that a wedding planner we know was in tears after all the imported Mason jars she lent the bride to use as table centerpieces got nicked by discriminating guests (they considerately left behind the repurposed jars from supermarket jelly, though). It’s easy to see why food in a jar is such a big hit: it’s Instagrammable, it’s portable and spill-proof (you can eat cake while window shopping!) and, depending on the restaurant policy, you can take the jar home with you to start your very own jar collection. 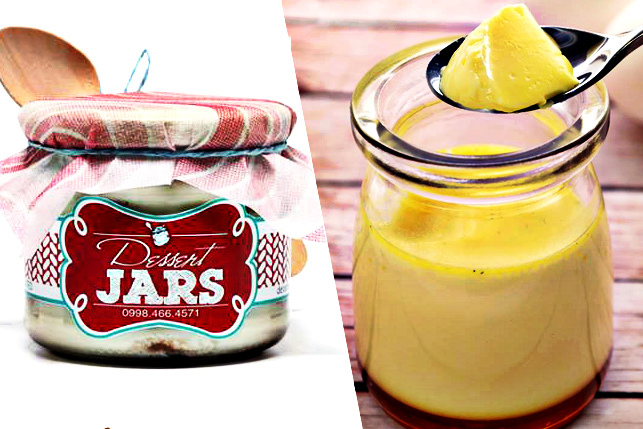 Here are 10 savories/desserts in a jar we love. These are cute baby potatoes drowned in a concoction of tangy-sweet mayonnaise. The ratio of mayo to potato is a wee bit much-kind of like two divas fighting for top billing in one tiny jar. 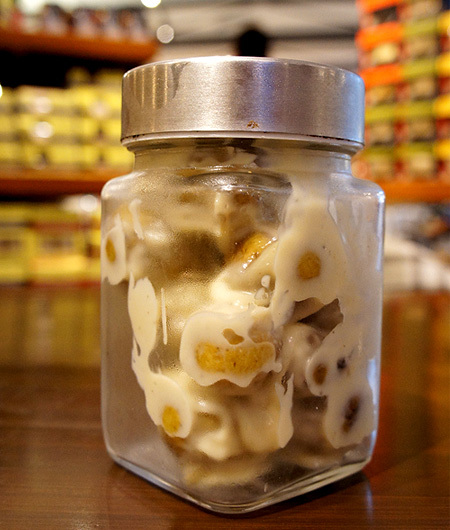 For P160, you can probably buy your own jar, a bag of potatoes, mayo, and make your own at home. That way, you get to take home the jar, too-something they don’t allow in Epicurious. Still, the dressing is delicious, and we can imagine spreading it in a roast chicken sandwich. If you’re bored and you happen to be at Epicurious, you and your friends can play a "guess how many potatoes are in the jar" game. The restaurant also serves a mixed greens salad (P110) and coleslaw in a jar (P160). 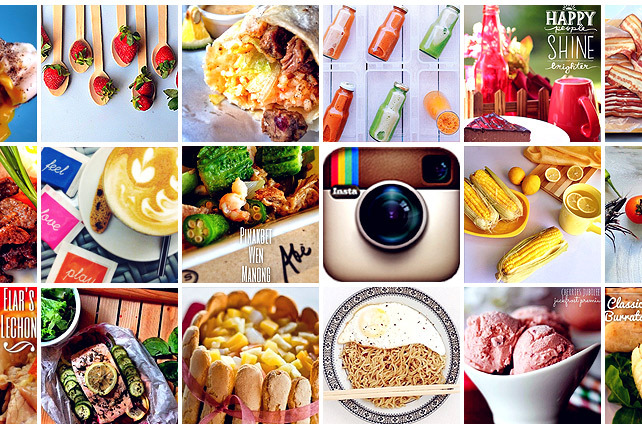 Epicurious is at Shangri-La Plaza East Wing, Mandaluyong City. 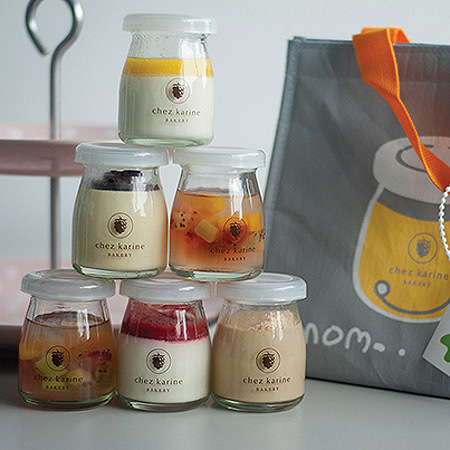 The Mango Lime (P290) is their bestselling cake in a jar (the other flavors are Cookies and Cream and Apple Pie). The sweet mango and tart lime create a refreshing melange that is perfect as a lightweight summer treat. Let the cake thaw a bit first so the mangoes can soften and you can taste the lime in the cream cheese. We made sure to ask if we could keep the jar, but in hindsight, for P290, we have every right to keep the jar. Spätzle is at Shangri-La Plaza East Wing, Mandaluyong City. If tuna is the chicken of the sea, then we nominate swordfish as the bacon of the sea. When cooked right, the thin strips of fish offer a satisfying salty crunch that can pass for bacon (was that blasphemous?). 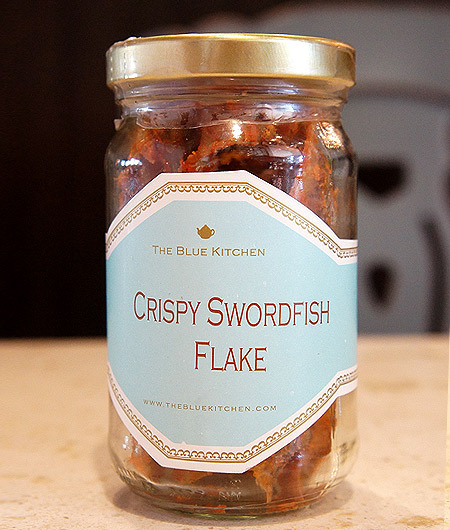 Blue Kitchen’s spicy-sweet swordfish flakes could be an alternative to calorie-laden crunchy snacks and it also makes a great lazy-person breakfast-just shake out the flakes onto a bed of piping hot fried rice and you’re good to go. Click here for a list of Blue Kitchen branches. 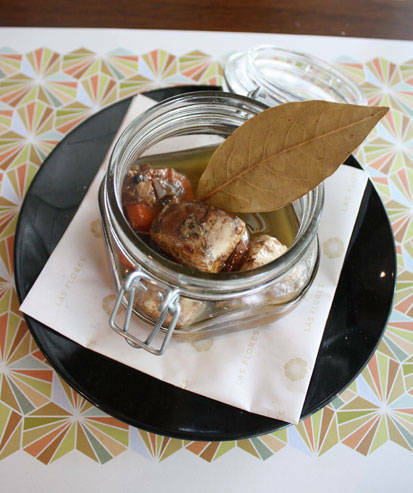 This jar stays in the restaurant (unfortunately), but you won’t mind as you take bite after bite of the flavorful tuna marinated in white wine, vinegar, and virgin olive oil. The huge serving is for sharing...or not, depending on how yummy you find it. Las Flores is at G/F McKinley Place, 25th Street, Bonifacio Global City. 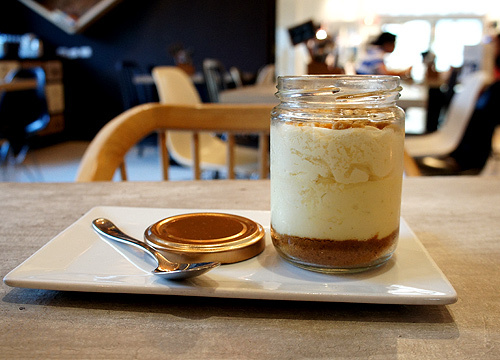 Chez Karine’s super-cute desserts in a jar will have you coming back for more. The fruit jelly is highly Instagrammable (always a big plus), and very refreshing. It makes for a great palate cleanser after a heavy meal or after you’ve walked up and down the length of Bonifacio High Street in the summer heat. The bonus? You can take the jars home. Once you collect seven, you may opt to exchange them for a free glass of iced tea. 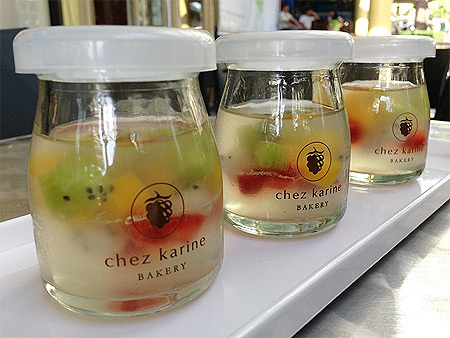 Chez Karine has branches in Serendra, Bonifacio Global City, and SM Mega Fashion Hall, Mandaluyong City. 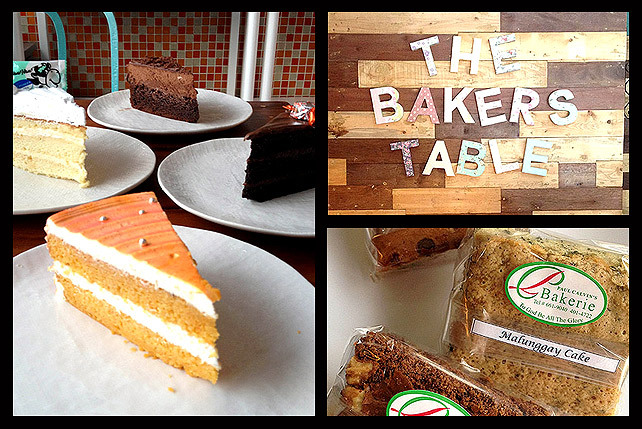 For P150, you get so much pudding that this should also be in a special "value for money" category. Diving into the pudding (doesn’t diving into a cold pudding pool sound good right now?) feels like a dessert version of Journey to the Center cf the Earth: wiggle your spoon through the rich cream all the way to the bottom and suddenly, smoky caramel syrup will gush up to the center to mix with the custard. There is a crisp burnt-sugar shell at the bottom that makes this pudding feel and taste like an upside down crème brûlée. Happy Cream Puff has branches at Shangri-La Plaza East Wing, Mandaluyong City; THE ZONE 7224, Malugay Street corner Buendia, Bel-Air, Makati City; Unit G-16 Rada Regency, Rada corner Dela Rosa Street, Makati City. Filipinos are such matcha-loving folks that many a snack seller/local konbini has made a killing selling Green Tea KitKat. If you’re addicted to anything with green tea, you have to add Dessert Jars’ Green Tea White Chocolate Mousse to your matcha eat list. The sharp green tea flavor balances the sweetness of the white chocolate for a just-right bite. Contact Dessert Jars 0998-466-4571 or e-mail dessertjars@yahoo.com.ph. Thank goodness Mamoo’s Caramel Almonds are still shelled when you get them because it stops you from shoving handfuls into your mouth like a squirrel preparing for winter. The whole almonds are roasted in the shell together and flavored with caramel during the roasting, giving the almonds a smoky sweet flavor (the smell alone is divine). Contact Mamoo’s at 0917-811-3275, 0917-527-6254, 621-8687 or e-mail mamoosph@gmail.com. Among Chez Karine’s menu of creamy treats, this one takes the cake-or pudding, in this case. 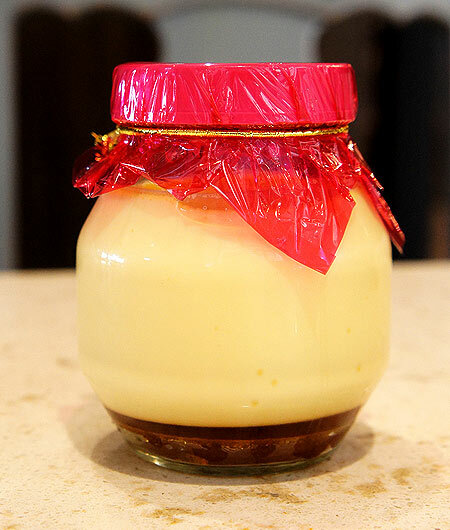 This classic vanilla pudding is so light and addictive that we were surprised to find ourselves with a ton of empty mini jars in the aftermath. 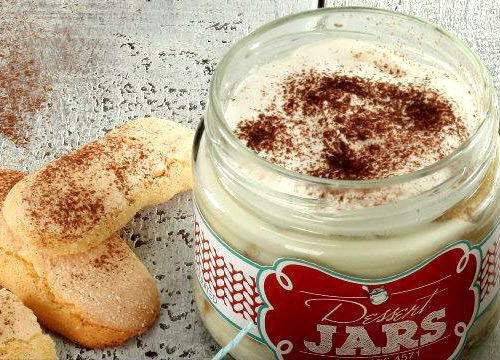 The petite jar doesn’t make you feel too guilty about indulging and it tastes so good paired with their macarons. Anyone who’s seen the Friends episode where Rachel adds beef, onions, and peas to her English trifle ("It tastes like feet!") probably smiles whenever they think about this layered confection. Don’t worry, Dessert Jars didn’t add any strange ingredients to their Ladyfingers Trifle; what you’ll get in each bite is coffee-laced cream with liqueur-soaked ladyfingers-like a hybrid chocolate mousse tiramisu. 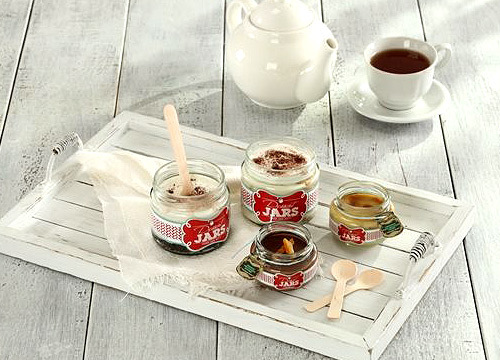 The jar comes prettily packaged with a bright label and an adorable wooden spoon. The baker behind Dessert Jars is so accommodating that she’ll even stick statement stickers on your jars to match the occasion.